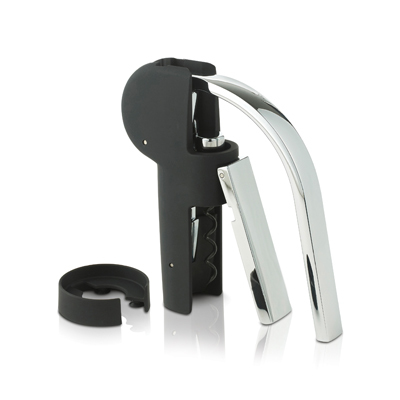 This contemporary piece has a soft touch black matte finish with polished metal handle. Lower the handle to screw the worm smoothly into the cork. Set includes: corkscrew, foil cutter and extra spiral.